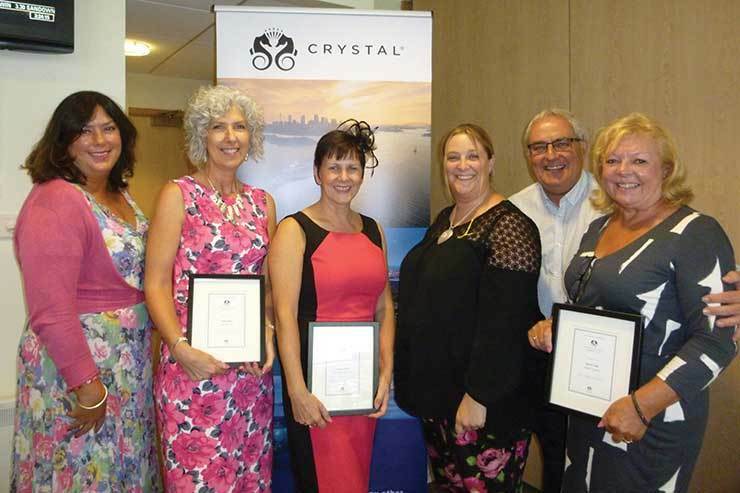 Last week Crystal Cruises rewarded its top-selling agents with a day at Sandown Park Racecourse in Surrey. Jennifer Morris heard from the line about plans for 2017 and that Northwest Passage sailing. Crystal Cruises is targeting a 16% increase in trade partners this year as the line’s huge expansion plans start to come to fruition. The company, which currently operates ocean ships Serenity and Symphony, yacht Esprit and new river cruise vessel Mozart, will deploy eight more vessels by the end of 2019 including six river ships. In 2017 Crystal AirCruises will launch a Boeing 777 aircraft with fully reclining flatbed first-class seats, which will take guests between destinations. Crystal’s existing butler staff will be trained as flight attendants. The line also planned to deploy a Dreamliner, but “let it go”, deciding it made more sense to use the same class of aircraft. Crystal Cruises has joined Online Travel Training to run a new training scheme to help agents sell the luxury line. The first module provides agents with all the latest information and key features of the fleet, while two further modules take them through the new yacht and river brands. Speaking at a “thank you” event for agents at Sandown Park Racecourse last week, head of sales UK and Ireland, Mick Dupont, stressed the importance of agents, with 98% of the line’s cruises sold through the trade. “Growth is a definite with all the product that’s coming out,” he said. “As more agents want to work with us because of the new product, me and my sales team are charged with growing the number of agents we work with by 16% this year. Dupont said the new river product was introducing guests who were loyal to other luxury lines for ocean bookings, to book Crystal’s river offering. Asked about the impact of world events on its itineraries, vice-president, international sales and marketing, Helen Beck, said: “We did have to make some deployment decisions to move away from the eastern Mediterranean, which is a sadness. Beck added that Crystal would also likely go to Cuba, “in time”. “I went about three years ago and it has so much potential but it’s not ready [for Crystal],” she said.